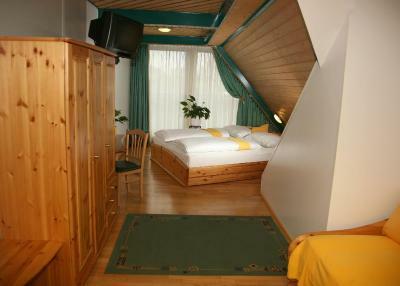 Lock in a great price for Hotel Asperner Löwe – rated 8.2 by recent guests! 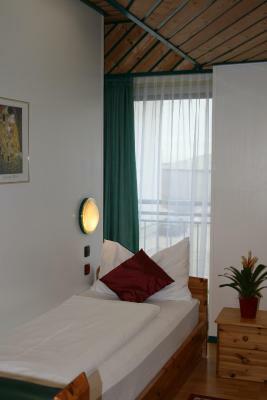 Hotel is close to Aspernstrasse U-bahn station so Vienna center can be reached in some 20 minutes. Hotel have parking that is free of charge so you don't need to think about your car. In city that have parking issues like Vienna, this is very handy. Room was clean and worm. Room was nice, big enough for family of 4. Hotel is close to metro station. 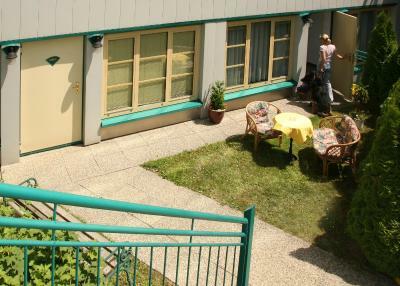 Great place to stay and convenient to rail and bus transportation. 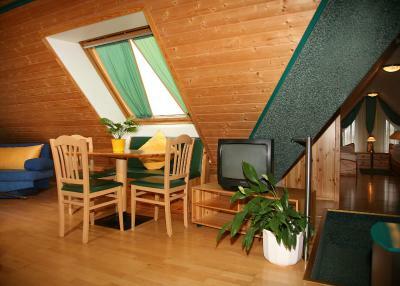 Good price and would stay there again. 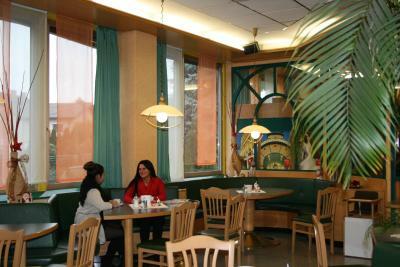 Very close to the metro stations, breakfast is cheap and nice. Free parking and a 2 minute walk to the metro train to take us into center of Vienna. 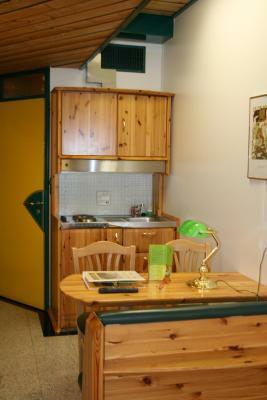 Decor of room was very unique... very Austrian with knotty pine cupboards, a booth to sit at a table, kitchenette( with fridge and dishes/silverware) and and also crazy green and yellow colors ( Green Bay Packer colors!!) in the room and hallways. Some would probably find it gaudy. 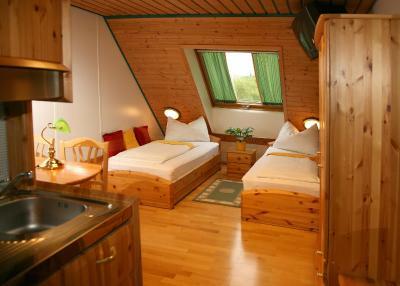 Comfortable beds and windows that open. Very friendly staff who let us check in early so we had the keys already when we came back to hotel late at night. That also allowed us to park there free all day instead of fight the traffic and parking issues in the city center. Breakfast was available for extra money - we had our own in the room. Location very near to ubahn Staff was really helpful Place is very clean There was a coin machine to buy water for late evening. Excellent value! 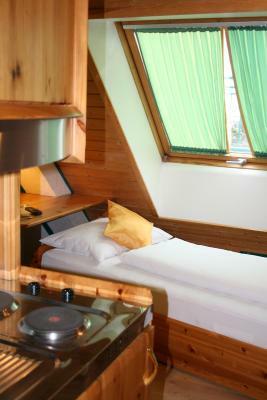 Comfortable bed with duvet blankets, stove/fridge/sink unit in the room, great shower. One block from a subway station. 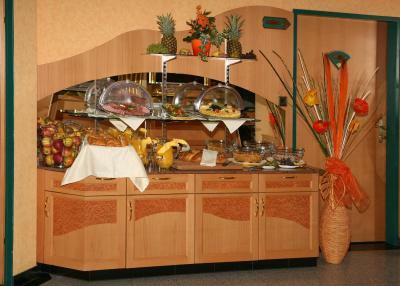 Wonderful breakfast (extra charge) with sliced meats and cheeses, fruit and juice, hard-boiled eggs. Private patio outside a glass door, and off-street parking next to the patio. Very quiet neighborhood, about 15 minutes from town. Desk clerks spoke good English. 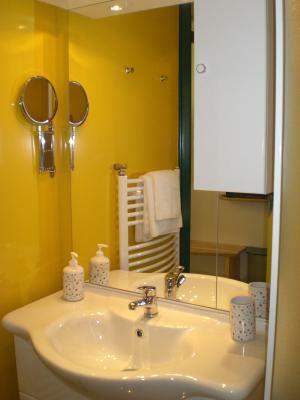 The room, the bathroom, the kitchenette were very clean and nice. 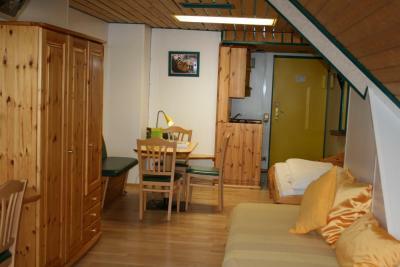 We had a confortable bed and also a sofa, tv, frige and AC which worked very well. We had free WIFI in the room. The parking was free and very easy to access, we left our car for 4 days and had no problem. Our towels were changed daily and the girls from the reception were very nice and eager to help. We had to walk maximum 5 min to the Underground which has a direct station to the center of Vienne. 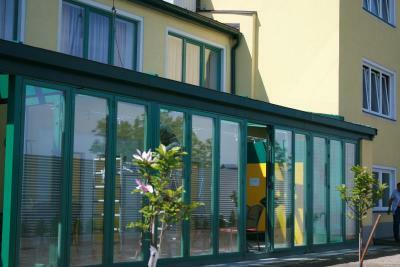 We are looking forward to visit Vienne again and stay at the same hotel. 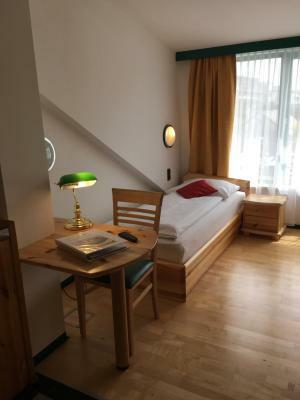 Hotel Asperner Löwe This rating is a reflection of how the property compares to the industry standard when it comes to price, facilities and services available. It's based on a self-evaluation by the property. Use this rating to help choose your stay! 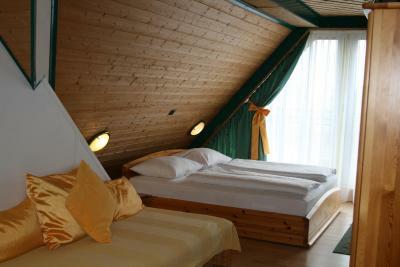 Just a 25-minute metro ride from the Vienna State Opera and the Kärntnerstraße Shopping Street, the Hotel Asperner Löwe offers free private parking and free WiFi. 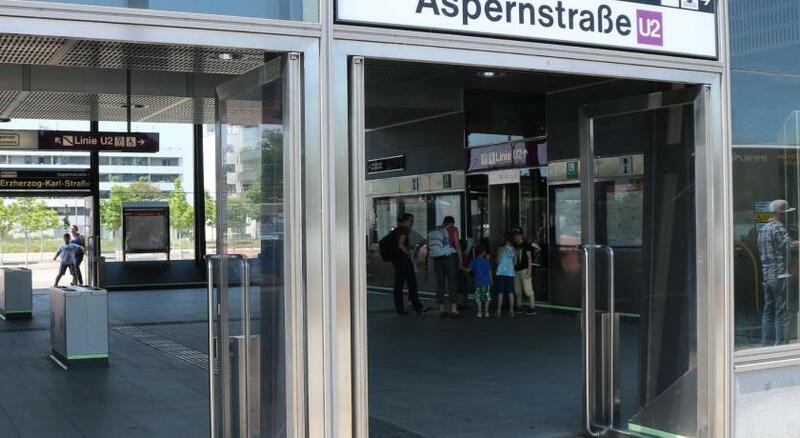 The Ernst Happel Stadium and the Messe Wien fairgrounds are a 10-minute metro ride away. 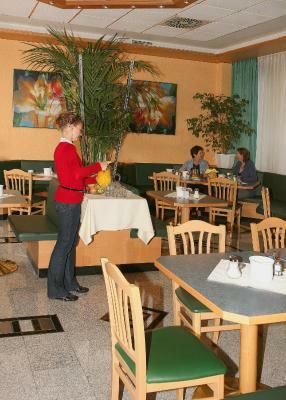 Hotel Asperner Löwe’s bright and spacious rooms all have basic kitchen facilities, a seating area, a bathroom with hairdryer and satellite TV. 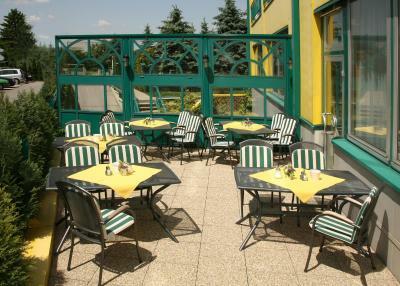 In fair weather, the rich breakfast buffet is served on the terrace. 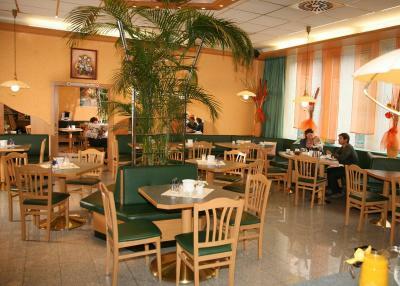 A restaurant serving characteristic Viennese cuisine can be reached on foot in 5 minutes. 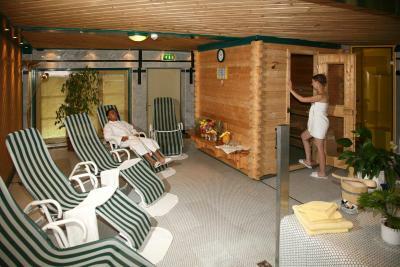 Hotel Asperner Löwe also has a sauna and a steam bath, accessible for a surcharge. An internet terminal is available at the reception. A laundry service is also offered. 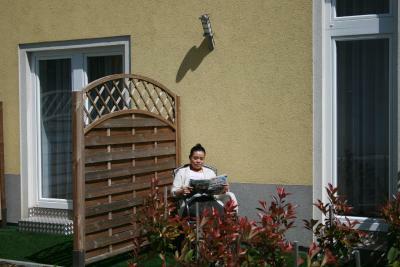 The Donau-Auen National Park and the Danube Island recreation area can be reached on bicycle trails. The Seestadt Aspern urban development area is a 2-minute drive away. 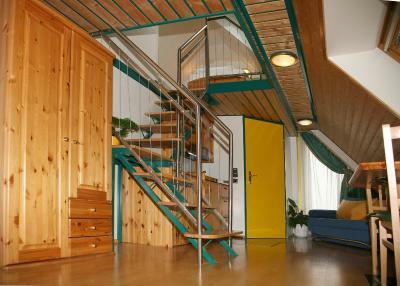 The property is right next to the Aspernstraße Underground Station, which offers connections the airport and city center. By car or taxi, the airport is just 20 minutes away. 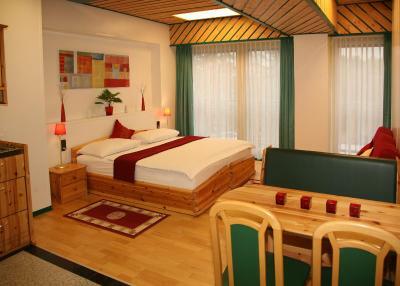 When would you like to stay at Hotel Asperner Löwe? 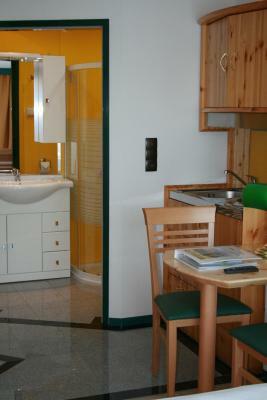 Air-conditioned room with satellite TV, a kitchenette and a bathroom with a hairdryer. 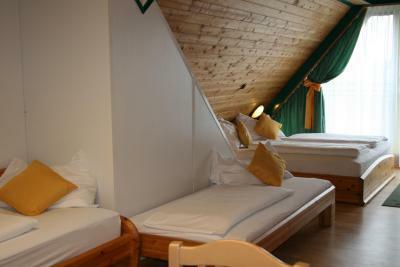 Located in the attic, this air-conditioned room comes with a sloping ceiling, satellite TV, a kitchenette and a bathroom with a hairdryer. 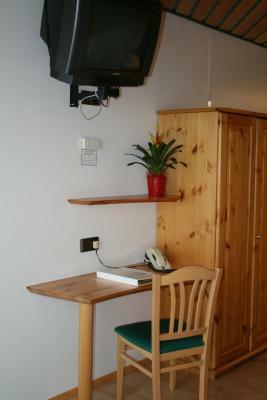 This double room has a kitchenette, air conditioning and seating area. 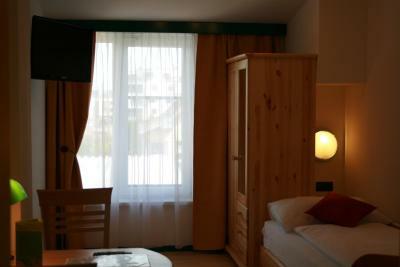 This single room features air conditioning and seating area. 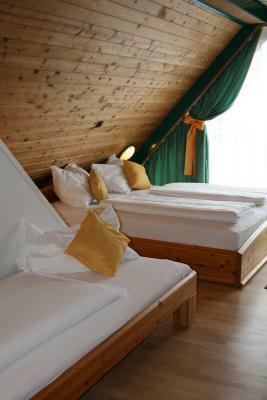 House Rules Hotel Asperner Löwe takes special requests – add in the next step! 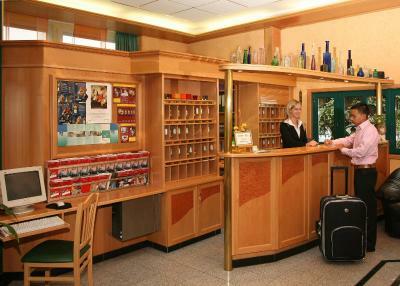 Hotel Asperner Löwe accepts these cards and reserves the right to temporarily hold an amount prior to arrival. If you arrive after 21:30, please inform the hotel in advance. You can use the Special Requests box when booking or contact the property. Contact details can be found on the booking confirmation. Please note that on Saturdays and Sundays, the reception is closed from 11:15 until 12:00. Please note that the parking spaces are not guarded and the hotel assumes no responsibility. Please note that if you would like breakfast, it needs to be requested at least 2 days prior to arrival. Contact details can be found on the booking confirmation. I stayed in the hotel for a week. However, it's a terrible experience. I suffered a lot due to the unclean environment as my body started to feel itching after the first night. Then, some red spots occurred on my body from the second day, and became clear from the third day. I reflected the problem to the front desk lady who showed concerns and asked me if I want to switch rooms? I didn't accept the offer. Instead, I asked the staff to replace the blanket and bed cover. Poor me. 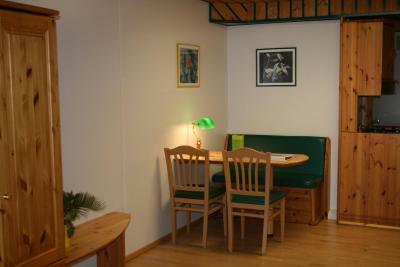 The hotel location is great, a few-minute walking distance from the train station. 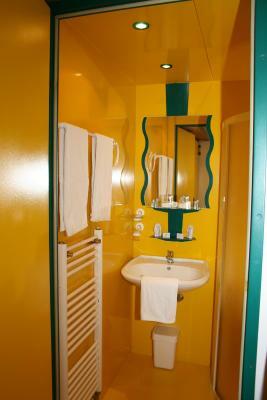 Decoration of whole Hotel is tragic :) Walls made of steel sheet in yellow and green colour. Breakfast - nothiing special mainly cold and overdone eggs. 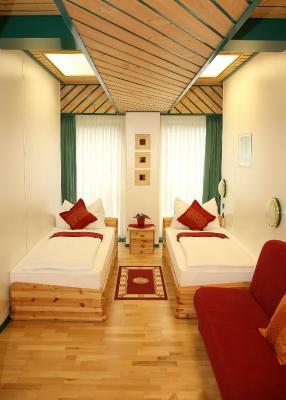 Good option to spend there one night on your way to further destinations. Close to the highway. Although Hotel is not in the city centre the underground is really close. Comfortable bed. Big parking. Things were missing like information about the restaurant and breakfast location plus breakfast times. 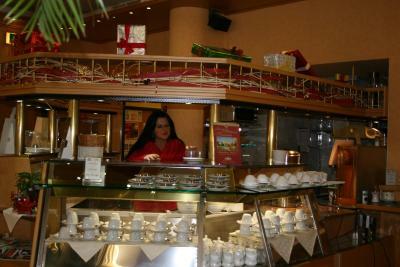 We went lately to the breakfast (around 8:45) and we found the breakfast not worth 7€ each. Things were already stored away although the breakfast is until 10. The explanation about the room location was vague and the same is regarding breakfast location at the reception when checking in. Location - clean room. 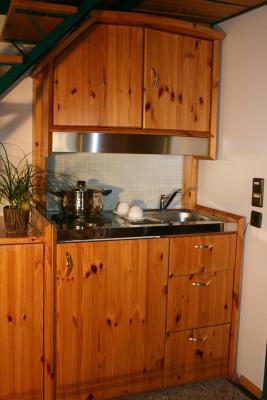 Staff helped with organisational parts due to two bookings. Good price, good location, convinient parking. 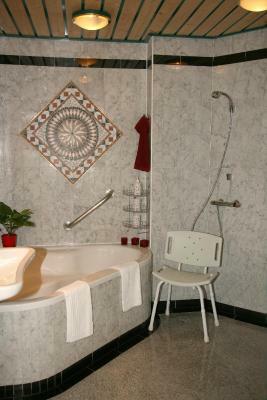 Location - proximity to U2 Metro station. Free parking. The heating in the room didn't work so we switched rooms (the staff was very helpful with that). 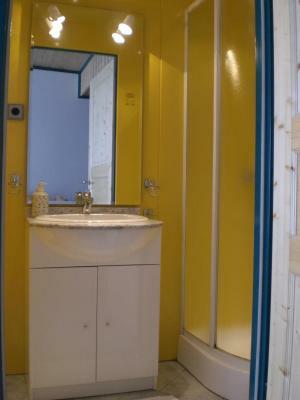 In the second one, only the bathroom radiator didn't work, the rest of the room was warm. 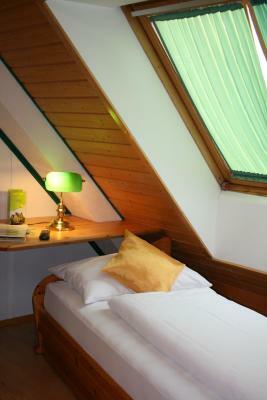 It takes a while for the room to warm up so be sure to check if the heating works before you leave for sightseeing. The reception desk is open only until 9:30 PM and you don't want to come back to a freezing room. 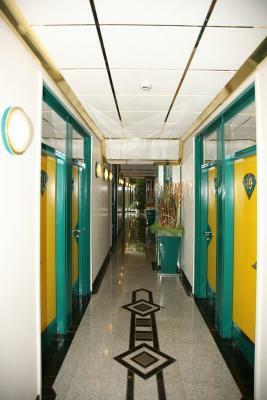 The hotel is very clean and the staff helpful and responsive. It has private parking which is a huge plus. Breakfast is great. 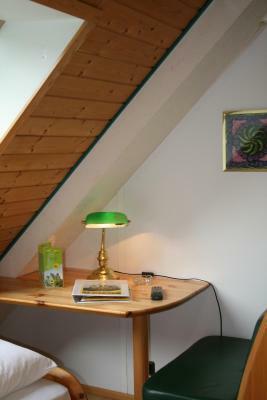 The location is good (not central, but close to the metro station).